All the castles on the Chic Villa website have been carefully curated for their beauty, prestige and premium facilities. Choosing the best place for a slice of the chateau lifestyle isn’t always an easy task, so we’ve done the legwork for you and lined up 5 of the best rental castles in France that are guaranteed to turn your holiday into a fairytale experience. Spend your holidays in Brittany soaking up the magical charm of Castel Marmousets on the Pink Granite Coast, within easy reach of Lannion, Pleumeur-Bodou and Perros-Guirec. This mediaeval rental castle enjoys a fabulous location, with views stretching out to the horizon. The property was fully renovated in 2009, so you will enjoy living the life of a noble without having to sacrifice your creature comforts. Majestic stone walls, granite cloisters, a turret and spectacular wooden carvings create a breathtaking setting against the rugged Breton coastline. The perfect backdrop for making happy memories. On to the Dordogne valley, where the Chateau du Prince awaits. Formerly the home of a royal family, this beautiful turreted mansion is set in immaculately landscaped grounds and infused with traditional French regal style. 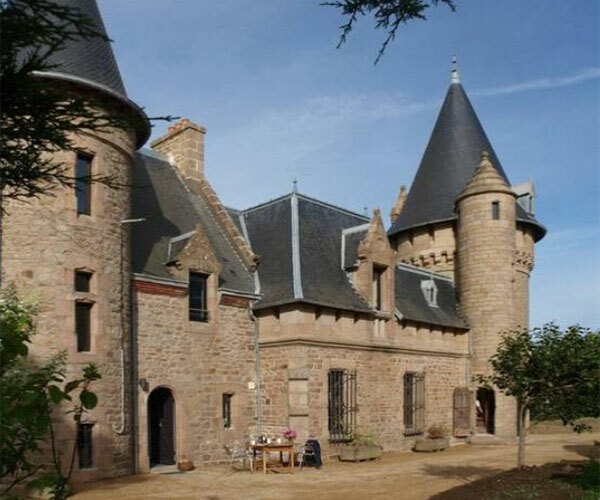 If you’re looking for a rental castle in France worthy of a period drama, then this property is for you. The grounds are perfect for soaking up the sunshine and great for entertaining, with a private chef available upon request. The castle lies between the Garonne river and the beautiful Canal du Midi, a beautiful spot for long, leisurely walks and bike rides. 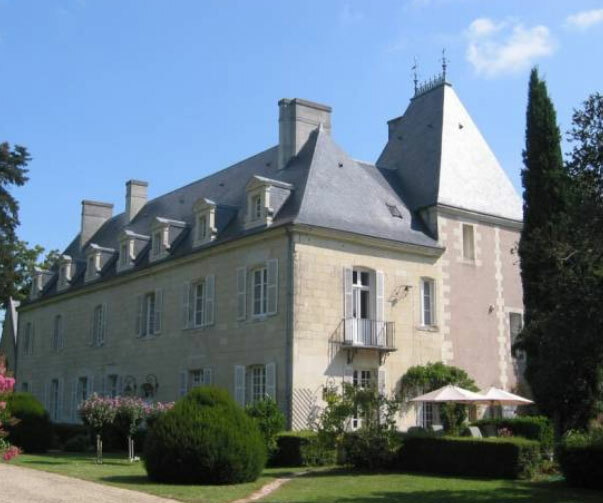 Larger groups will be delighted with this rental castle in Normandy on the outskirts of Caen. Just 2.5 hours from Paris, Pure Luxury Normandy is an immense chateau that will grace your holiday with a dash of noble elegance. Set in 2,000 square metres of manicured grounds, it can sleep up to 37. Space and grandeur are the watchwords here, with generous volumes throughout. The living rooms and bedrooms are decorated with refined taste, and the facilities are second to none. The hardest decision you’ll have to make is choosing where to unwind: the indoor or outdoor pool, two saunas, gym, jacuzzi, massage room or home cinema…. 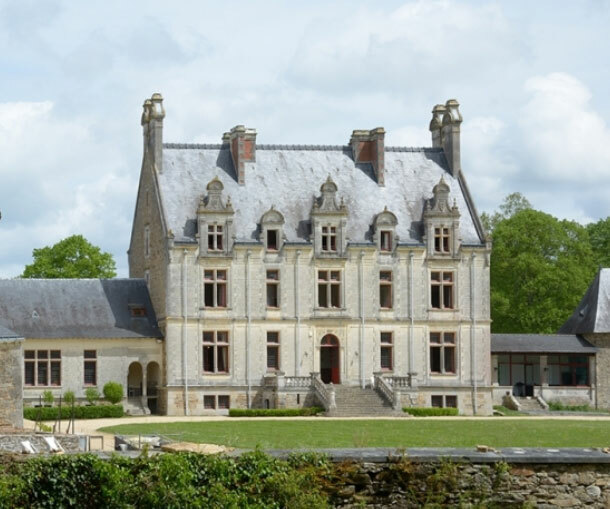 Another rental castle that ticks all the boxes for an exceptional escapade lies in the cradle of French royalty, the Loire Valley. Chateau de Loire is halfway between Saumur and Tours and is typical of the region with its pale limestone walls and blue-hued slate roof. The romantic, floral grounds and a delightful chapel make it the perfect venue for a fairytale wedding. The main house is spread over 670 sqm and decorated in a harmonious blend of tradition and modernity for the best of both worlds. Eight bedrooms make this rental castle ideal for a family get-together. A swimming pool, tennis court and great outdoor dining facilities are sure to keep everyone happy. In French, its name means the castle of your dreams, and we certainly wouldn’t argue. Sophisticated modern style retains just the right dose of authentic tradition to create an enchanting and uplifting atmosphere. 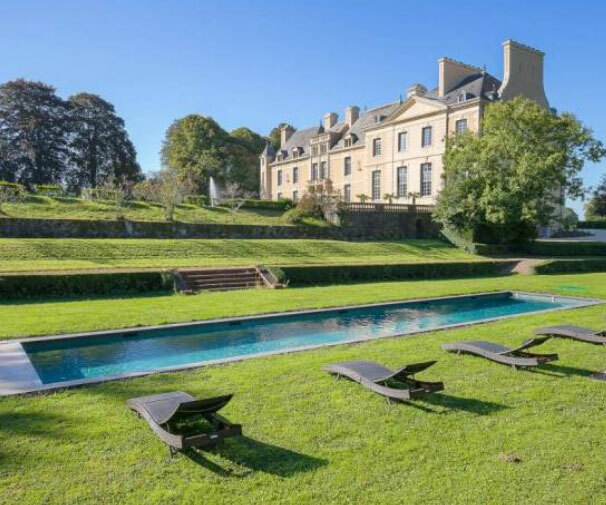 This 18th century rental castle lies between La Baule and Nantes on France’s west coast, bringing you the best of city and sea. It has been tastefully renovated and includes a reading room, pool table, tennis court and swimming pool. Mealtimes can be held in the splendid reception room, the sleek and sunny orangery or the stone-walled outdoor barn. The holiday of your dreams starts here.